Coming with a good solution to attract customers can often be a hard task. What’s even more demanding is coming with a good solution that also shows creativity and will immediately make your clients hooked to the product. If you haven’t thought about it until now, you should know that there is a beautiful and creative way you can manage to attract customers and make your business look even more professional. It’s called interactive advertising. This is a new and exciting way you can promote your business or products. Creating a name for your brand is sometimes really difficult and you often need something that would make people remember you. With interactive projection you can be sure that people will always remember your brand. An advertisement way that implies so many senses has never been developed before and it will engage the customers fully into experiencing this new sensation. They will be able to touch, see, and hear the product on the screen so interacting with the product virtually will be your signature. You can offer the clients a part of the feel they would get from choosing your brand and make them want it even more. What is the first rule of advertising? Getting people’s attention. With interactive projection not only you will get their attention, but you will also keep them interested for longer periods of time. You will be able to offer them a lifetime experience and correlate your brand’s name with positive feelings, uniqueness, and curiosity. That’s definitely a recipe for success in any field. 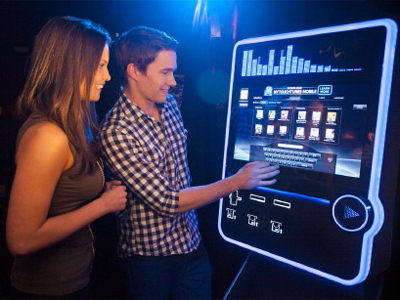 Interactive advertising is not just a way to make your brand known, is the advertisement method of the future. Become a leader by choosing to use interactive projection in your marketing campaign and you will surely become the best in your niche.